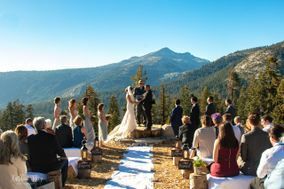 Stay within the city limits for chic Reno wedding venues that are perfect for a sophisticated Nevada celebration, or cross the state border to Lake Tahoe, California for gorgeous rustic scenery. 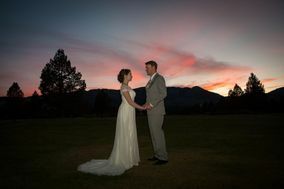 Whichever wedding style suits you best, Reno wedding venues offer a wide variety of venues types, from golf clubs to lux hotels to resorts to farms. 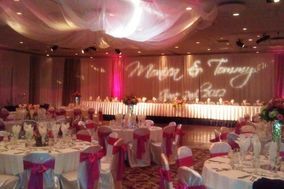 Looking for a glittering setting for your Reno wedding? 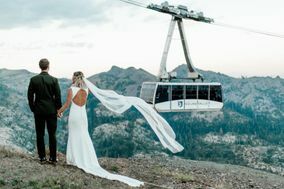 Take your loved one to the Biggest Little City in the World to tie the knot. 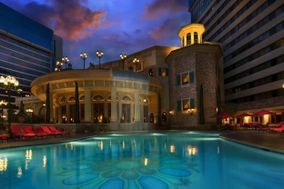 Reno, Nevada, is home to the glitz and glamour that's typically associated with Las Vegas, and it doesn't disappoint when it comes to natural beauty thanks to the surrounding desert landscape. 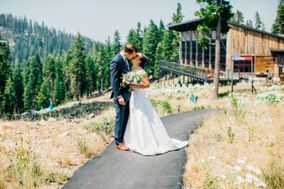 It's easy to get distracted as you hunt for Reno wedding venues. 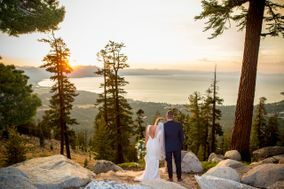 With the city's numerous casinos and its proximity to Lake Tahoe, there are attractions to consider at every turn. Which of these local elements do you want to incorporate into your wedding? Do you fancy getting hitched at one of the glittering hotels in the city? 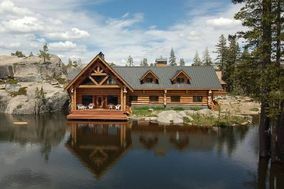 Or do you prefer to opt for a more secluded country club, restaurant or even a ski lodge in the area? 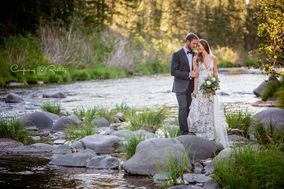 There are a variety of venues in Reno that can suit any couple's style, from those who crave something to intimate to the pair longing for a grand entrance. 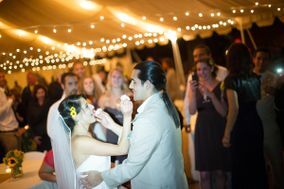 Before you begin dreaming of your first dance, you need to consider costs for your Big Day. 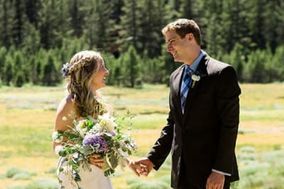 The average wedding in the state of Nevada costs around $17,000. 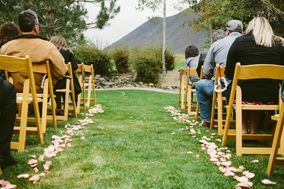 Typically, half of a wedding's costs come from its venue location. 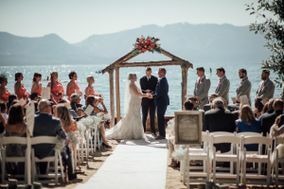 Assess your wedding budget and make some financial decisions with your partner before booking the location that's right for your nuptials. The best way to get to the Biggest Little City in the World is by flying into the Reno-Tahoe International Airport. The airport is six miles southeast of the city and serves most major airline carriers. 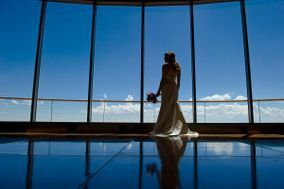 Wedding guests can also fly into the Sacramento International Airport and traverse the 162 miles east to Reno. Accommodations in the city are plentiful, ranging from boutique hotels to large casinos. 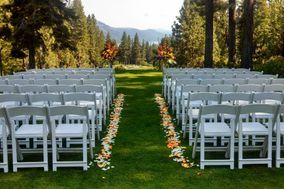 If you and your fiancé(e) are anticipating a large group in town for your wedding, why not look into booking a hotel block? Hotels typically offer bundled rates for booking numerous rooms in advance. Speaking of hotels, Reno accommodations run an average of $130 to $170 a night. 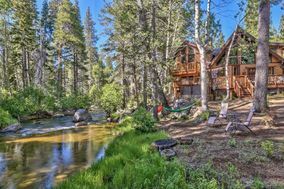 Those hunting for additional accommodation options can check out the surrounding Lake Tahoe area or the capital of Nevada, Carson City. 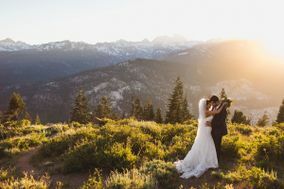 With more than 250 days of sunshine each year in Reno, Nevada, there's a good chance your wedding day will be sunny. 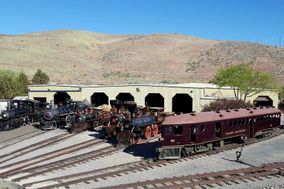 However, the city's desert location means nights are chilly and in the winter, Reno does experience roughly 24 inches of snowfall. Due to its significant elevation at 4,612 feet, Reno's day time and nighttime temperatures can be quite different. 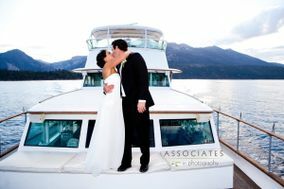 If you plan on wedding in the summer, do so at a venue that offers effective air condition. 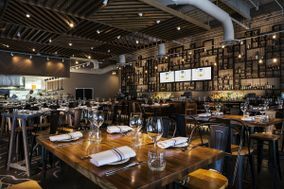 The city can reach temperatures in the high 90s, and you want your guests to be comfortable during the matrimonial merriment. 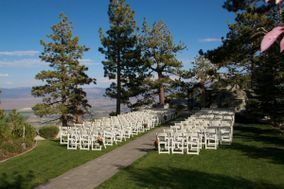 Ready to start working toward creating your perfect day in Reno? With the aid of planning tools available here on WeddingWire, you can select the details of your wedding day from the comfort of your home. 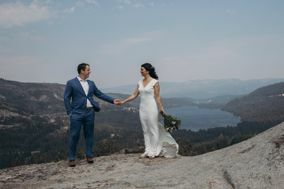 From vendor selection to browsing for bridesmaid dresses, we have all the information and tools you need to make your wedding feel like something out of a fairytale.